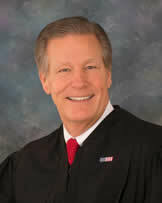 Judge Tepe is a graduate of Moeller High School, The University of Dayton and The University of Dayton School of Law. As a practicing trial attorney, he maintained his law practice in Warren County for 31 years before taking the bench in 2017. From 2005- 2016, he served as the prosecuting attorney for the City of Springboro. Judge Tepe and his wife, Renae, reside in Clearcreek Township. They have 4 children and 6 grandchildren. Judge Tepe has been active in the community throughout his career. He has served on The Springboro Superintendent's Advisory Council, The Springboro Scholarship Foundation, Warren County Board of Developmental Disabilities, Lebanon Warrior Youth Football League, and The Gem City Youth Conference. He also served as President of the Warren County Bar Association in 2013-2014. Judge Tepe and his wife attend Urbancrest Baptist Church where he has served as Trustee and Missionary Liaison.